I have a sneaky suspicion that this jacket could be the jacket of the summer. 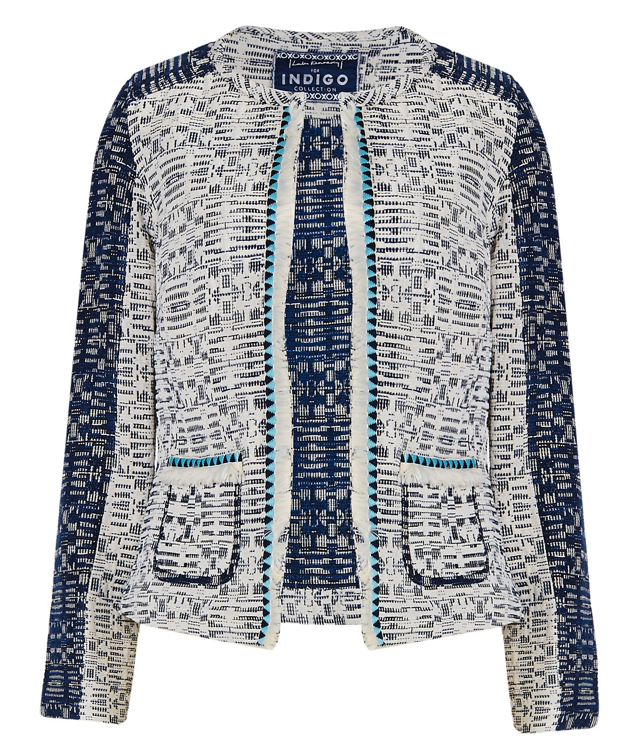 Lulu Kennedy has busted out a nifty little range for Indigo Collection at M&S, and I have a feeling that the mix of relaxed denim and patterned dresses won’t be hanging around for too long. In the meantime, I’d like to focus on my highlight, this Fringe Trim Jacquard Blazer. This is perfect for the strange weather we’re currently having. Chuck on your trusty jeans, a simple white tee and vamp it up with a slick of lippy and this jacket. Boom. Outfit made. It’s as easy as adding it to your basket, spending £75 and shouting BOOM. Done.